Either way though, de Monchaux’s use of materials is intriguing. 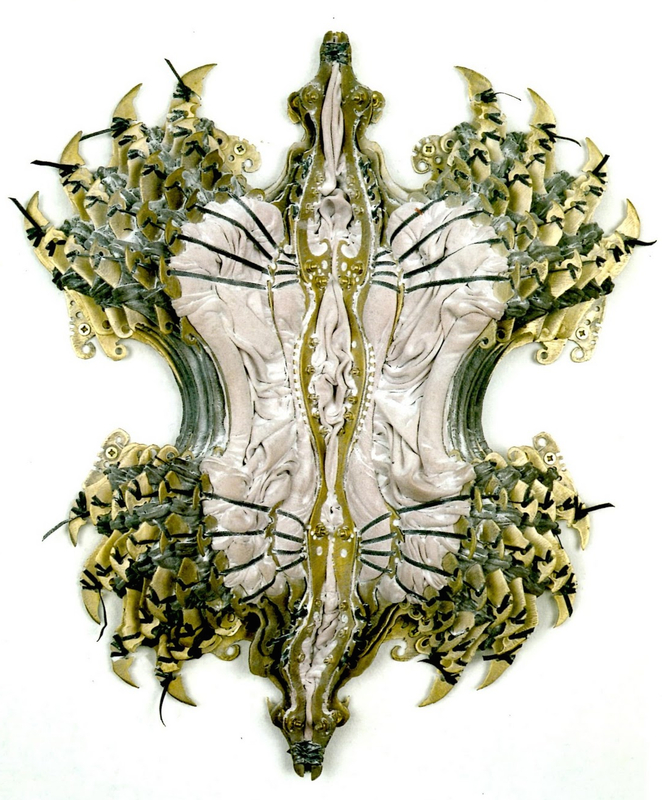 The combination of hardware and fabric suggests a mix of aggression and vulnerability and the exquisite detail of some works carries connotations of both the intricacy of nature and biological specimens pinned for dissection. The carry case structure of Vent, while utterly unlike anything else, somehow manages to bring Hadrian Pigott’s Instruments of Hygiene to mind; never a bad thing in my view. Researching de Monchaux’s work, I realise I haven’t seen Trolley in real life (or, possibly, have replaced it in the store of art in my head with who knows what). 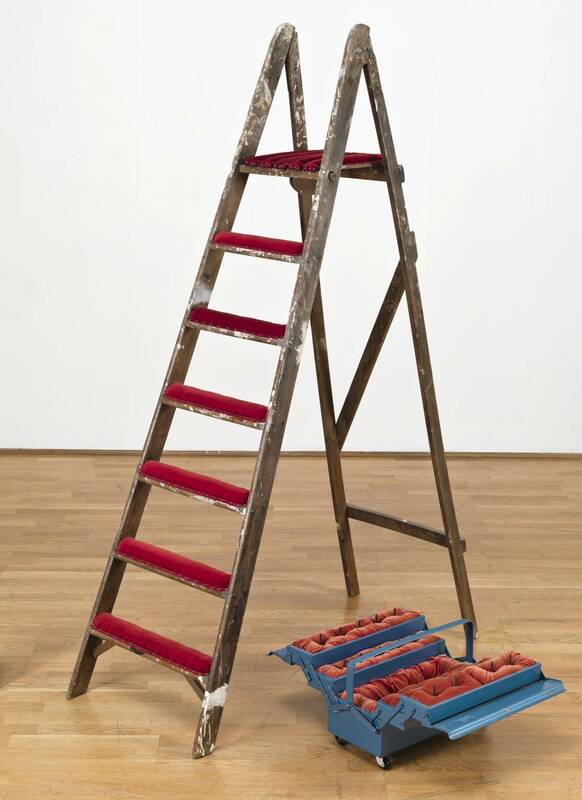 The work intrigues me though, in part for the Pigottiness (not an actual word, but you know what I mean) of the toolbox but also for the preposterousness of the velvet covered steps of the ladder. The mix of function and luxury is a pleasing one, and conveniently bringing another artist’s work to mind the piece gives me ideas for another post. Phew! This entry was posted in Sculpture and tagged art, Cathy de Monchaux, Dangerous Fragility, Erase, sculpture, velvet, Vent by Ann Jones. Bookmark the permalink.